The eleventh “Concert for St. Michael”, organized by the Polifonica Lucchese and the AML( Lucchese Music Association), will be held Saturday, September 24 at 5:30 pm (free entry) in Lucca’s Church of St. Michele in Foro. The performers are the long-established Polifonica choir directed by Egisto Matteucci and the Boccherini Chamber Orchestra. The four soloists are soprano Mirella Di Vita, contralto Sara Bacchelli, tenor Marco Mustaro and bass Francesco Facini. The program includes sacred music composed by Boccherini and Mozart for evening prayer, and formed by some of the psalms and the canticles of the Magnificat, divided, almost like an opera, in arias, ensembles and choral pieces, in an alternation of different styles and structures. and a bright Magnificat, closing the concert. This is definitely an occasion not to be missed, both for the high quality of the music and performers, and for its magnificent setting in one of Lucca’s finest churches. Of course, quite apart from the music being performed, it’s well worth arriving earlier to take a look at the church itself. San Michele is built in the centre of the city’s ancient Roman forum (hence its full name) and its original construction dates from the eighth century. 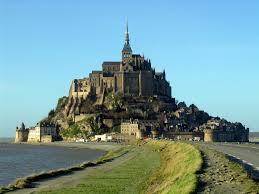 Attached to it were a hospice and a monastery. Pope Alexander II ordered the church’s reconstruction around 1070 which continued until the thirteenth century. San Michele in Foro is one of the supreme examples of Luccan Romanesque architecture with its intarsioed marble decorations and one of the finest facades anywhere with a superimposed sequence of four orders of arcades crowned by a statue of Saint Michael defeating the dragon and giving it a high vertical slant which is almost gothic. In fact, the church itself was supposed to have been transformed into the gothic style with a raised nave – this idea never took place, however. San Michele is built in a latin cross plan and it’s said that there an emerald embedded in St Michael’s statue which under certain sunlit conditions emits a powerful green ray. If anyone sees the green light then one is supposed to be blessed by the strength of this most powerful of archangels. I must take a better look next time I’m there! Who was the architect of this wonderful church? 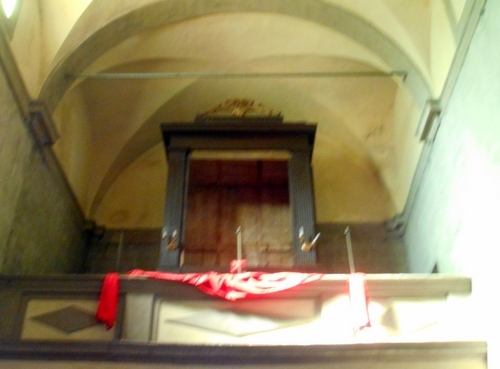 Tradition has it that it was Diotisalvi, the same person who designed Pisa’s baptistery. 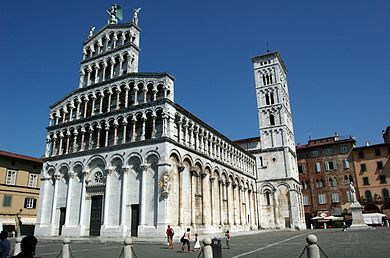 Indeed, the whole building demonstrates not just the transition from romanesque to gothic but also a syncretism between Pisan and Luccan architecture styles. 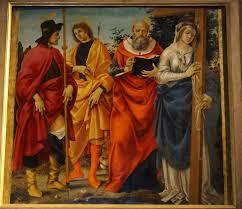 Filippino Lippi’s four saints in the ceremonial Pala ordered by the nobleman Magrini. Raffaello da Montelupo’s bas-relief of the Madonna. Although the Coreglia festa takes place on the 8th of May the actual day dedicated to the archangel in the church calendar is September the 29th. 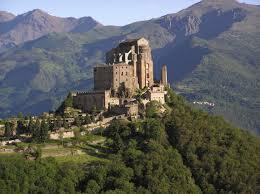 and thence to Piedmont’s Sagra di San Michele. My visit to San Michele in Foro thus completes the mystical ley-line which unites four sacred places dedicated to the Prince of all Angels. to walk the fragrant gardens of their Lord. with strength this pilgrimage and set me free. enfolded in veiled clouds and shrouded arts. through your pellucid eyes at last I see. PS The other two archangels, Gabriel and Raphael, are also commemorated on the same day as Saint Michael. Incidentally, in these days when the various religions are praying for peace in Assisi and attempting to bring down divisions between themselves they could have no better start that these three archangels. Zoroastrianism, Judaism, Eastern Orthodox and, especially, Islam all recognize and refer in their holy books to the great power of the archangels Michael, Gabriel and Raphael! 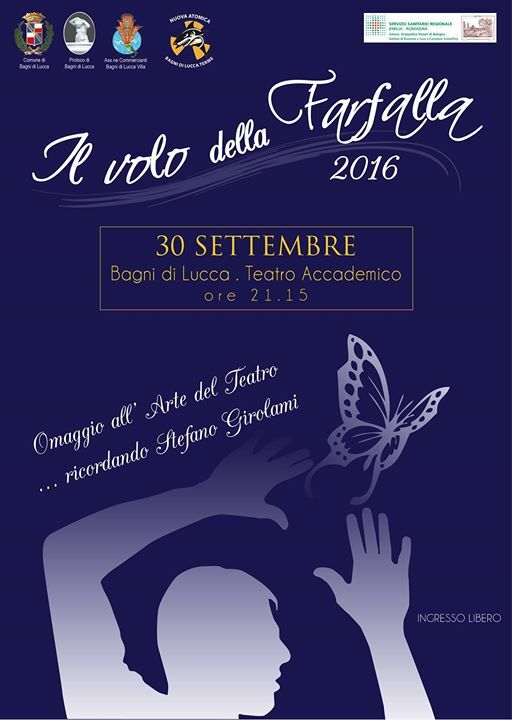 On Saturday, September 24th at 9.15 pm in the parish church of Camigliano (Capannori) there’s the second evening of the 38th Camigliano Choral festival promoted by the “Giacomo Puccini” choir of Camigliano under the patronage of the Municipality of Capannori and the financial contribution of the Cassa di Lucca foundation. Guests will be the C.A.I. choir from Frosinone (see photo) directed by Giuseppina Antonucci. 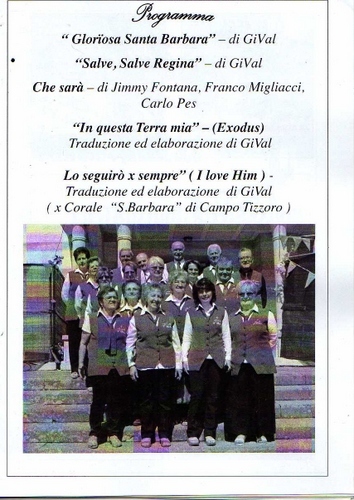 It is a thirty-strong mixed voice choir who will present a programme of songs by Bepi De Marzi inspired by the beauty of the mountains and popular tradition. The second guest group comes from Vaiano (Prato). 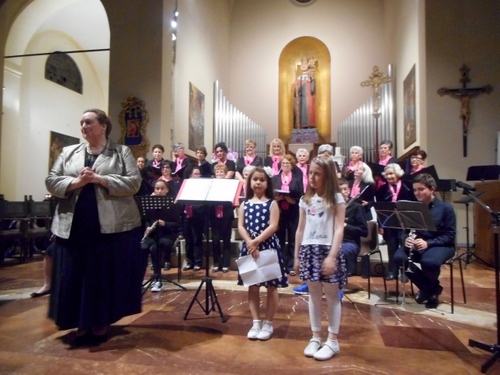 It’s the “Quarta Eccedente” choir directed by Fabio Cavaciocchi who will present a varied programme including sacred music, spirituals and popular songs. 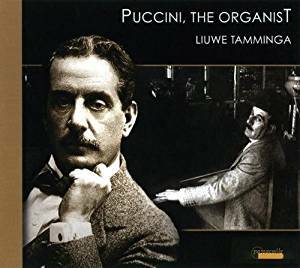 The Puccini choir, directed by Luigi Della Maggiora will be hosts and sing traditional songs, creating an interesting evening for choir lovers. It’s another attraction of the Camigliano festival which is an important event both for its continuity (thirty-eight uninterrupted years), the quality of the participating groups and for the territory’s cultural and tourist promotion. Free admission. What a name for an association! What does ‘mammalucco’ mean anyway? In common parlance it means a dolt or an idiot but it’s really a bit more subtle than that. It also means the willingness to be made a fool of, or risk doing something which could turn out either way – a resounding success or an abject failure. The etymology of the word is also subject to different interpretations. It could derive from ‘Mamluk’, which is Arabic for ‘the king’s slave’. In fact, the Mamluk became the leading warrior class under the Ottoman Empire obeying the king’s orders unto death. Presumably, their willingness to die for their master in unthinking obedience during the mediaeval saracenic raids against Italy may have seemed a bit stupid to Italians, so the term was applied generically to anyone who didn’t have a brain to think for himself. A second interpretation is more fanciful and relates to the ‘figurinai’ or statuette sellers from our Lucca region who emigrated to America with their craft. (A well-worn urban myth says that when Christopher Columbus landed on the new continent he was immediately greeted by a figurinaio who was itching to sell the captain a souvenir statuette.) According to this interpretation children, excited by the little statuettes the Lucchesi were selling in the streets of New York and other cities, would cry out ‘Mamma look!” in an effort to attract their parents’ attention and get them to buy a statuette. Whatever the origins of the word the Mammalucco association is doing a fine job of enlivening social life for its inhabitants. 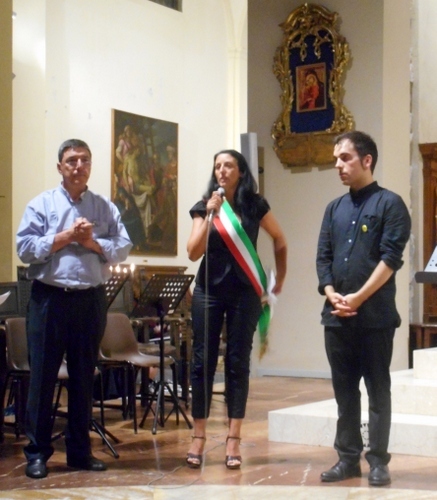 This July 14th for example, it invited ‘Il Baluardo’ choral group to perform in front of Fornoli church. 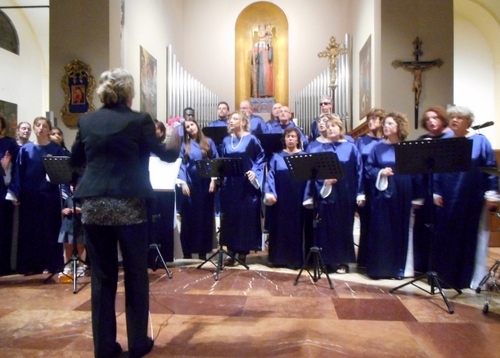 Together with the Coro delle Alpi Apuane it’s one of Lucca’s premiere folk-song choirs. Founded in 1989 ‘Il baluardo’ has participated in over five hundred concerts. They have performed in the UK, Germany, France, Switzerland and Spain and have established ties with other Italian and foreign choirs. 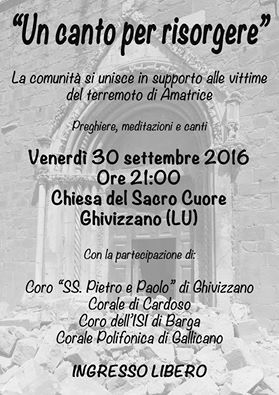 Directed by baritone Elio Antichi the choir also includes guitarist Gabriele Cinquini and keyboard Tiziano Mangani. 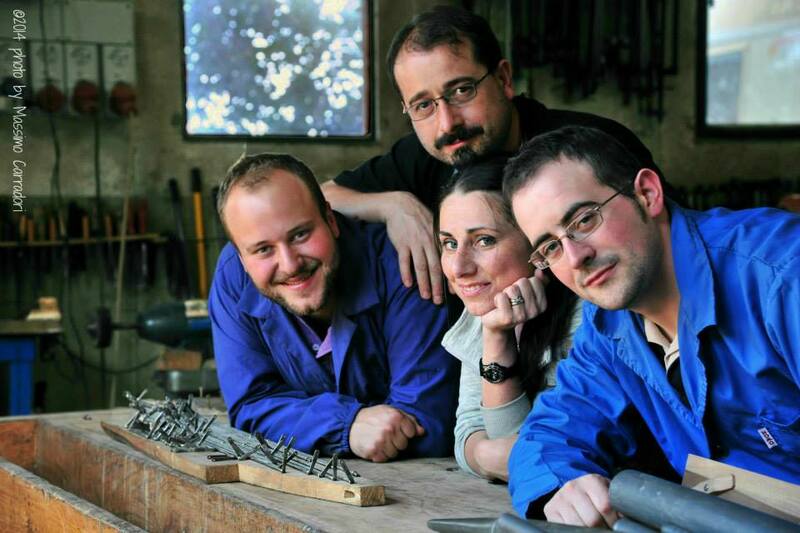 ‘Il Baluardo’ repertoire consists of traditional Tuscan folk-songs which they perform in a cappella style. They also include folk-songs from other regions of Italy and several European countries. In addition’ Il baluardo’ includes performances of such items as French renaissance chansons and contemporary pieces. 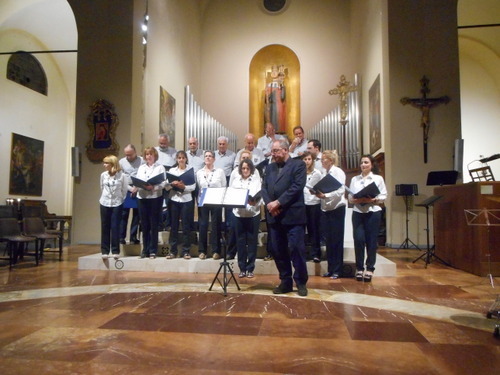 The concert we heard at Fornoli was a delight. The first half was a sequence of Italian work folk-songs which were cleverly brought together with a narrative and some lively inter-acting between the choir members. The second half consisted of more ‘classical’ repertoire including French chansons, crusaders’ ballads and more modern pieces. 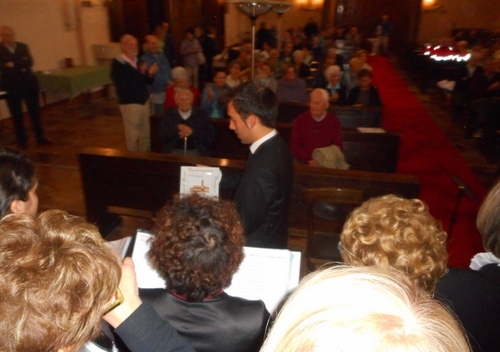 The choir was introduced by the inspirer and organiser of the Mammalucco association, Marco Nicoli, who is also a noted journalist of ‘La Nazione’ newspaper and writes many articles on our area bringing to the public’s attention important issues and sparkling events (like the Fornoli carnival, for example). We are glad to have such public-spirited figures as Marco in our midst and that evening he did us and the association proud by bringing along a truly inventive and highly enjoyable choir. 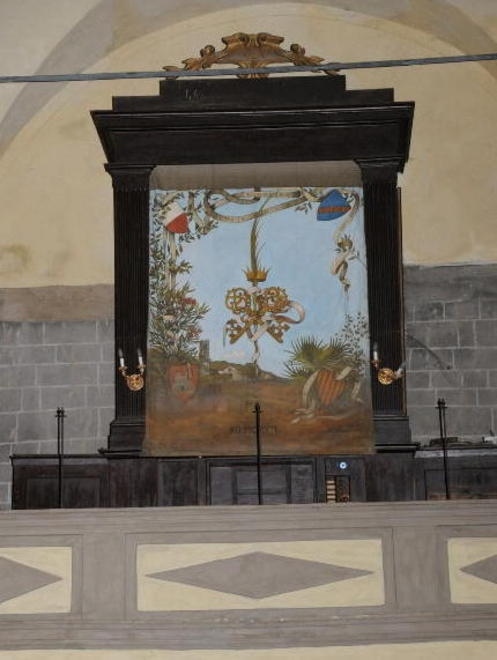 PS ‘Il Baluardo’ means bulwark and clearly refers to Lucca’s walls in which lovely city the choir is based. At least we have a well-defined origin for that word! Campo Tizzoro does not immediately ring a bell as one of Italy’s historic towns. Situated between the passo dell’Oppio and the passo delle Piastre on that alternative and very scenic route from Bagni di Lucca to Pistoia it does not claim much attention at first sight. Yet it’s significant for three main reasons. First, the battle of Pistoia was fought here in 62 BC between the conspirator Catiline, who tried to overthrow the Roman republic and its senate, but was soundly defeated by Macedonian legions under the command of Gaius Antonia Ibrida, as the historian Sallust describes. Second, Campo Tizzoro became a major metal industry centre when the Società Metallurgica Italiana was founded here in 1910. The centre started manufacturing munitions (rather like Woolwich’s Royal Arsenal.) In fact, the armaments factory still stands although now converted into a small business enterprise centre. The large concrete bullet-like guard posts still stand to remind one that this was once a thriving manufacturing centre. Campo Tizzoro was fundamental to the Italian war effort and the allies knew it. 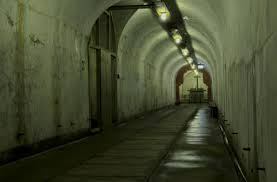 This is why the place boasts (if that is the correct verb) some of the largest air-raid shelters and bunkers in Europe. A state secret until 2000, these immense underground chambers are now under the care of a local historical association and can be visited upon appointment. Third, Campo Tizzoro was the setting yesterday of an important rassegna corale, or choir festival, in which our own choir took part. 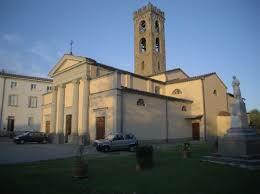 The festival took place in the parish church of Santa Barbara which is situated on a hill by Campo Tizzoro. The church was built by the architects Marchetti and Lavini during the nineteen-twenties in a Pistoian neo-Romanesque style. The exterior, with its zebra marble stripes is rather more impressive than the interior which we found has terrible acoustics and is rather bare. 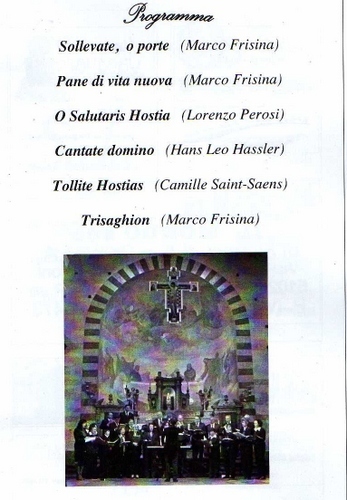 This was the programme of the first choir: Campo Tizzoro’s own parish choir. The arrangements were by the choir master and were suitably novel. 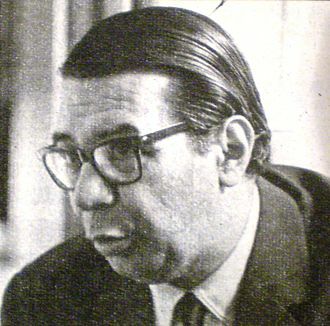 These included two original compositions by Maestro Gilberto Valgiusti: a hymn to the church’s dedicatee Saint Barbara and a ‘Salve Regina’. Further pieces included an arrangement of the ‘Exodus’ film theme with words added. Unfortunately, those ghastly acoustics did not do the pieces and singers adequate justice in my opinion. The second choir, the gruppo Canova from Florence, entertained us with pieces from a composition by their own Maestra Elisa Belli, ‘Tre giorni di Luna – Turandot.’ It’s a ballad opera based on Carlo Gozzi’s story of the ice princess, more famously set, of course, by the great Puccini himself. 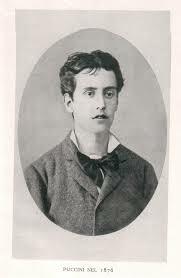 Elisa Belli has written other operas, including one based on Romeo and Juliet, which have been performed in Florence’s parks. We’re not boasting but our performance received the highest praise with people in the audience standing up and shouting “Bravissimi”. Certainly, we managed to conquer the acoustics of the cavernous church and our choir master was, again, pleased with our results. 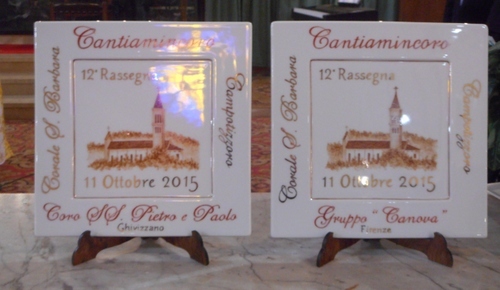 At the end of the concert all choir masters were presented with a commemorative tile plaque. We then proceeded to the best bit of the festival, the rinfresco or evening tuck-in. For this we journeyed to Pracchia, which is now the nearest railway station (excluding the Aulla line of course) to Bagni di Lucca. Pracchia is on the old Pistoia – Bologna line which, until the opening of the Apennine tunnel in 1934, was the only way of connecting the cities of Florence and Bologna. Regrettably, this metre gauge railway, which would today have been a real tourist attraction, was dismantled in 1965 for all the wrong reasons (road traffic, diminishing passenger numbers, slow speed etc.). Fortunately, large stretches of it are now being restored as a cycleway, rather as been done for similar closed railway lines in the UK. The evening meal was superb. The choirs were seated at three incredibly long tables in a hall decorated with festive streamers. The meal consisted of antipasto followed by lasagne and rice with leeks. Roast beef, chips and salad then succeeded and the whole gargantuan repast was concluded with a spectacular fruit pie dessert. Everything was washed down, obviously, with local wine which was surprisingly good for this mountain area. 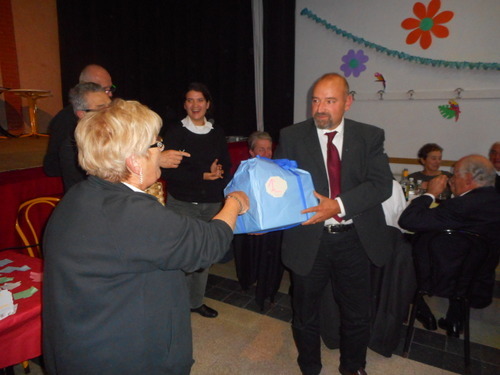 There was a raffle and the first price went to one of our own tenors. (Inside the package is an automatic pasta making machine). All choirs then joined together in an impromptu rendering of Verdi’s moving chorus from Nabucco, ‘Va Pensiero’. Surely this piece is the Italian equivalent of the UK’s ‘Jerusalem’ and, like that hymn, is the country’s unofficial anthem, so superior, in both cases to the official ones. The Campo Tizzoro rassegna corale has been going strong since 2004. How can the parish afford to feed and entertain such multitudes of choirs? It’s all thanks to the sponsors who advertise in the programme and also provide food and raffle ticket prizes. Well done to them and the organizers! Long may the rassegna continue. Have choir will travel and, what’s more, meet like-minded people, enjoy great hospitality and pass the time in the most delectable way. If you can sing why don’t you join your local choir?